Shop Floor Automations hardware has you covered with a complete connectivity suite. Regardless of your number of machines, or types of controls, we can breath new life into your equipment. If you’re frustrated and not getting the results from Google searches, call us to see how we can help. Using nearly two decades of business experience & full staff of support technicians, we can help you solve the problem with our shop floor solutions. We make our own RS232 serial cables & regularly test hundreds of models of controls with our equipment to confirm compatibility with wired, wireless, USB, & CNC floppy disk drives. 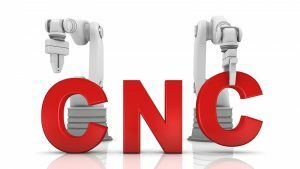 Don’t replace legacy machines or overspend on proprietary solutions to improve CNC file transfers – contact us. If you’re ready to get connected, visit our online store or call us today! Follow the social media channels of Shop Floor Automations. Watch our YouTube videos or interact with us online! Concerned with utilization and overall equipment efficiency? Want to know more about lean manufacturing? Let’s start the conversation about shop floor software! Call and speak us at Toll-Free at (877) 611-5825 for advice on how to increase manufacturing productivity and OEE. Replacing old shop floor media? Welcome to the Connect Series! Ethernet Connect – Link via Ethernet to CNC machines with wired & wireless options. Wireless Connect – Wireless CNC Connectivity, Wireless Access Points, and Wireless CNC interfaces for machine tools plus more. Improved machine program transfers. Serial Connect – USB to Serial, RS232 Serial Cables, RS232 Adapters, Testers, Fanuc cables, & more. USB Connect – Standardized on USB technology – add USB ports to CNC machines in your shop! RS232 hardware for Haas, Mazak, Okuma, Mitsubishi and hundreds of other machines. Drip-feed CNC programs efficiently. Floppy Connect – Off-the-shelf Floppy Drive Emulator will enable floppy disk to USB drive replacement. Floppy USB emulators help modernize old equipment. 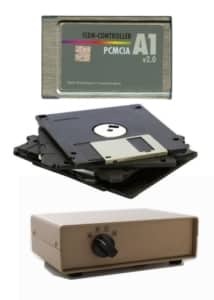 Tape Reader Connect – Behind the Tape Reader (BTR) solutions to replace paper tape and enable drip feeding on older CNC controls. We encourage you to call & speak with one of our Account Executives at (877) 611-5825. Will will evaluate your needs & see how we can deliver the best solutions for you. Our knowledge and experience is free to you. Let’s start the conversation!